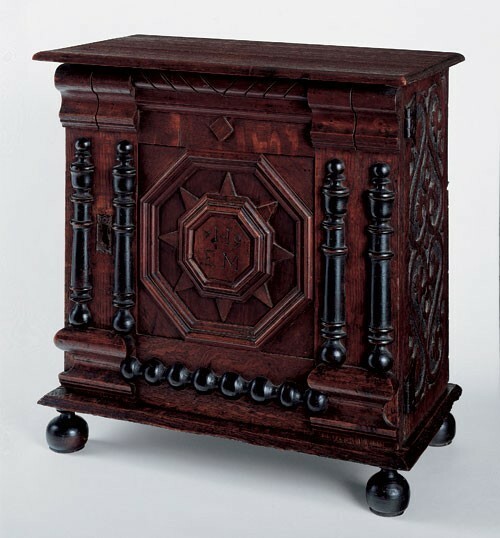 Cabinet attributed to the Symonds shops, Salem, Massachusetts, 1679. Red oak, black walnut, eastern red cedar, and soft maple with white pine. H. 17 3/4", W. 17 1/4", D. 9 3/4". (Courtesy, Metropolitan Museum of Art, gift of Mrs. Russell Sage; photo, Gavin Ashworth.) This cabinet has a history of ownership in the Herrick family. Detail of the canted panel of the cupboard illustrated in fig. 3. Cupboard, England, ca. 1540. Oak. Dimensions not recorded. (Private collection.) 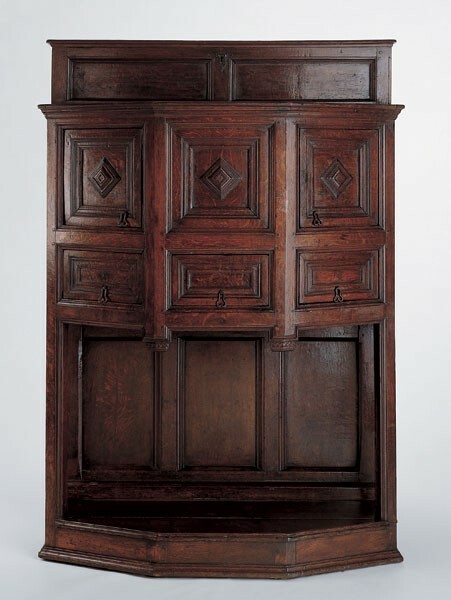 This remarkable early cupboard has a set-back upper section with “secret” sliding panels. Jean du Brueil, La perspective pratique, London, ca. 1645. Engraving. (Reproduced by permission of the Huntington Library, San Marino, California.) This treatise was initially published between 1642 and 1649. 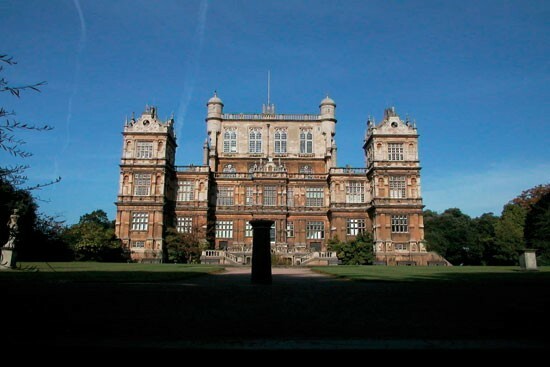 Entrance front gable, Wollaton Hall, Nottinghamshire, 1580–1588. 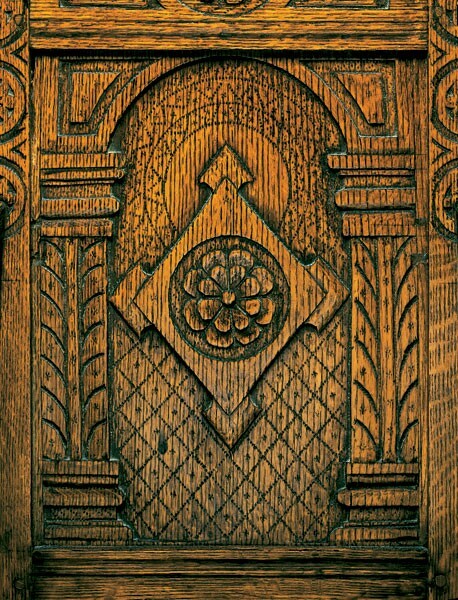 Detail of the back of the chair illustrated in fig. 41. 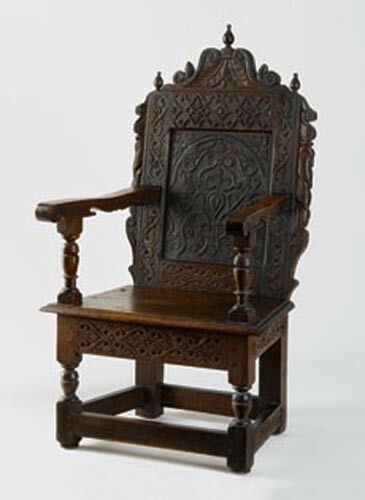 Armchair, Shrewsbury, England, 1662. Oak. Dimensions not recorded. (Reproduced from Victor Chinnery, Oak Furniture: The British Tradition [Suffolk, Eng. : Antique Collectors’ Club, 1979], fig. 2.11.) 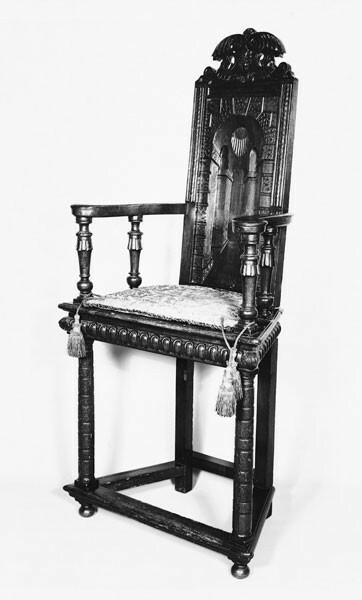 Richard Ellis made this chair for the Shrewsbury Drapers’ Company. The attentive reader will find the groundbreaking writings of American furniture historian Benno Forman to be a sobering legacy (fig. 1). In his capacity as curator of furniture at the Winterthur Museum from 1968 until his death in 1982, Forman amassed a body of research that is daunting in its scope. His astonishingly broad, if often intuitive, observations about the relations between European and American furniture are intertwined with incisive analyses of individual shops. In these writings a grand art historical view is tempered by an almost obsessive patience for detail; in the distinctive construction of a single joint, Forman was able to discern the situation of a joiner in the transatlantic sweep of furniture production. Perhaps the most significant thing about his writings, though, is that they reveal an author frustrated by his own limitations. He was unable to bring his magnum opus on early American seating furniture to print, and thus his only book appeared posthumously, thanks to the efforts of two of his leading students, Robert F. Trent and Robert Blair St. George. Reams upon reams of his unfinished manuscripts, lively correspondence, and promising research leads languish in archival boxes at Winterthur. Forman’s decision to hold back much of his work from publication makes perfect sense in light of his declared principles of furniture history. 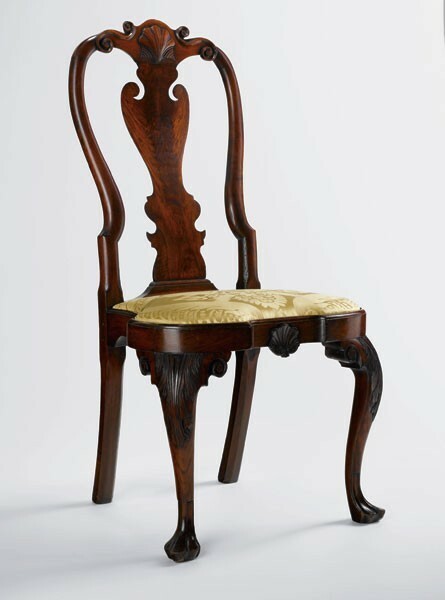 “The intuition of the present-day commentator is not that of the craftsman who made the object or that of the people who used it and brings us no closer to historical truth after all,” Forman wrote in his landmark text “Connoisseurship and Furniture History,” an unapologetic defense of traditional methodology that was printed as the foreword to Early American Seating Furniture, 1630–1730. Elsewhere in that volume, Forman mused, “Every historian hopes to find Truth. My aim has been more modest. I have hoped merely to find some truths and uncover what insights I could into the life of the people who used this furniture, its meaning to them and, perhaps most important of all in the absence of verbal documents on the point, to synthesize or make a composite of the way in which the craftsman may have seen it and may have thought about it.” In these lines Forman stakes out a position of hermeneutic humility, as if reminding himself of the poverty of our modern access to the mind of the craftsman: the paucity of means for reconstructing the period artisan’s mentalité. 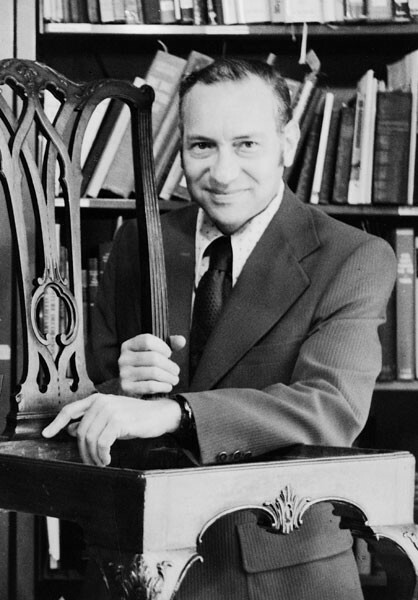 Forman’s example, that of a brilliant scholar who was nearly thwarted by his own realization of the difficulty of his task, ought to haunt furniture historians today. His work is now more than two decades old and his attachment to the term “connoisseurship,” with the particular sort of rigor that word implies, is likely to strike academic readers as antiquated, and possibly even quaint. Yet Forman’s understanding of the term has much to recommend it. He railed against the compartmentalized view of connoisseurship as an elaborate system of data collection, insisting instead that it entailed knowledge of the aesthetic quality of early furniture—not as a way of justifying its present-day value in the market, but as the crucial entry point into the conceptual configuration of the object. “The failure of aesthetic judgment to enlarge our understanding of furniture has caused us to draw the lines of battle too strongly in the matter of the qualities of simple versus complex, village versus urban, vernacular versus high-style furniture,” Forman wrote in 1980. “What we have failed to see is that the merits of one of these artificially polarized states neither destroy nor compete in kind with the merits of the other.” Forman was pointing to the bifurcation between traditional modes of connoisseurship and the new dispensation of material culture, which had by the time of his mature career started to rip the field of American furniture history into the two camps into which it is now divided. On one side, an academic wing was developing, forming itself on the model of vernacular architecture scholars, who tried to overthrow the furniture establishment’s overemphasis on elite objects, and the attribution, verification, and tabulation thereof. On the other side, a market-driven wing was becoming entrenched, already rather set by the 1970s; progress on that side since has been characterized by a dramatic enlarging of the franchise of “valuable” furniture, but it has still been guided by the fine shadings of good, better, and best. (In 1993, when Albert Sack updated his landmark 1950 connoisseur’s guide, Fine Points of Furniture: Good, Better, Best, he chose not to revoke his earlier framework of hierarchical quality but instead added the categories of “superior” and “masterpiece.”) This is the predicament we find ourselves in today: the academic side of the discipline chary of conceptualizing furniture in aesthetic terms, and the market side divorced from many of the interpretative accomplishments of the past thirty years. Although numerous individual historians have navigated creatively between these two poles, it has been impossible to escape them entirely—to conceptualize a disciplinary practice that transcends the seeming opposition between social history and aesthetics. Forman saw this impasse coming. He realized that a pure art historical model, in which objects were treated as master texts to be decoded like paintings, could not work for American furniture; but he also realized that a pure material culture model, which treated objects as information rather than art, would result in histories that were not only ﬂat and uncompelling, and insufficiently attuned to the attractions of old furniture in the first place, but also, perhaps most important, unable to cope with individual artisanal intent. Forman returns forcefully to the present because our understanding of the subject matter to which he devoted his career—American furniture of the late seventeenth and early eighteenth centuries—has recently been fundamentally doubted. Joseph Manca’s article “A Question of Style,” published in Winterthur Portfolio, challenges the notion that seventeenth-century American furniture should be seen as mannerist in style, as most scholars in the field have been accustomed to thinking. Instead, he argues, it should be seen as “a vernacular, yet creative, adaptation of the classical revival of the fifteenth through the seventeenth centuries.” Manca is also a specialist in Italian Renaissance painting and interiors and is therefore qualified to speak to the normative use of the term “mannerism” in art historical discourse. There are two platforms to the negative aspect of his argument. The first is semantic in nature and has to do with the simple choice of “mannerism” as an accurate descriptor. Though acknowledging that the word is a modern invention and can be applied in varied and contradictory ways, Manca would prefer to limit its proper usage to courtly artistic practice in Italy carried out in response to Renaissance humanism. He might be willing to extend the term to close French and northern European cognates of Italian work, but no further. So, for example, Manca sees the valuables cabinets made by the Symonds shops in Salem as “remarkably simple and unaffected,” like “little buildings in the classical tradition, with linear crispness and clear readability that are among the hallmarks of the Renaissance style” (fig. 2). Here he departs from the judgment of other scholars who have seen the ornament and particularly the carving on the sides of these objects as mannerist. Not so, Manca says; the cabinets are simple medieval forms with Renaissance architectural motifs grafted onto them. As Manca summarizes the matter, “Anglo American craftsmen [worked] without sophisticated knowledge of classical canons of form.” This is not to say, of course, that they had no knowledge of classical form whatsoever, just that we should not overestimate their conversance with that language, or their ability to manipulate it. The second part of Manca’s thesis is at once more argumentative and less terminological. It is his contention that mannerism, by definition, entails irony, wit, or inversion—typically in relation to some proper classical precedent. In this view mannerism always involves an element of willful, intentional distortion. This understanding of mannerism is authorized by stray period comments about the new styles of the Italian seicento, such as the statement by antiquarian and diplomat Celio Calcagnini in 1541 that “there are certain things that are beautiful just because they are deformed, and thus please by giving displeasure,” or the fact that mannerist architectural theorist and designer Sebastiano Serlio worried about voluto rompere e guastare la bella forma—intentionally breaking and destroying beautiful form. Modern art historians consider such views as typical of Italian and northern European painting and architecture of the sixteenth century. Erwin Panofsky, for example, wrote in 1924 that “the specifically ‘Mannerist’ art distorted and twisted the balanced and universally valid forms of the classic style in order to achieve a more intense expressivity . . . an internal dualism, an inner tension.” Manca argues that such highly self-conscious gamesmanship—in his words, “delightful and witty divergence”—is intrinsic to mannerism, and he is unwilling to attribute this capacity to early American craftsmen. 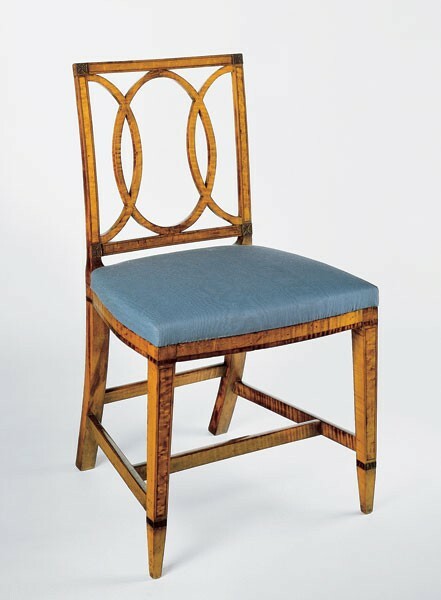 The original sponsor of the mannerist label as applied to early American furniture is Robert F. Trent, the scholar who has done the most to carry Forman’s mantle into the twenty-first century. Trent first laid out the case for interpreting seventeenth-century American objects as mannerist in the 1982 catalogue for the seminal exhibition New England Begins. His brief but incisive discussion identified the style as dominant in seventeenth-century New England and enumerated various aspects of its importance in that context: an interest in grotesquerie; an emblematic sensibility; and a complex system of geometric ornament “derived, in general, from the proportional system of classical architecture.” Trent acknowledged that it was surprising that a courtly, Catholic style would find root in provincial, Calvinist New England, but argued that the style had become so endemic to the English bourgeoisie by the early seventeenth century that it constituted a sort of lingua franca in the minds of early joiners and other craftsmen. Manca’s critique of Trent’s position is made clear in his discussion of an Essex County court cupboard in the collection of the Museum of Fine Arts, Boston (fig. 3). 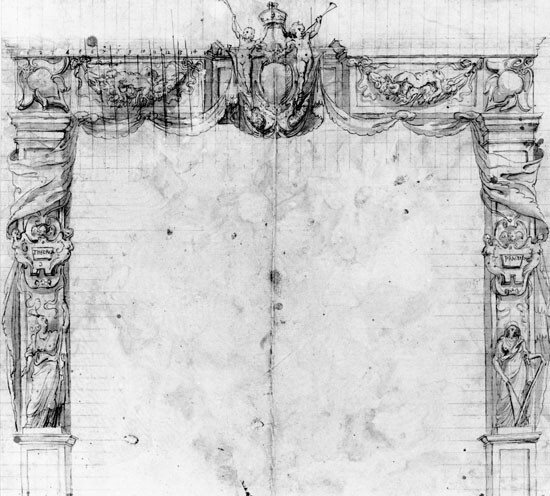 For Trent, it sports typically mannerist features: abstract ornamental forms reminiscent of urns are suspended in the middle of panels; the double arches on the side panels of the trapezoidal section lack a jamb or visual support in their center; and, most important perhaps, the linear ornamental elements are not properly architectural in character but are instead scratch-stock moldings of an “enriched ogee” profile (fig. 4). For Trent, these are all instances of the mannerist manipulation of form. For Manca, however, some of these features are not significantly divergent from classical propriety and all are “unlikely to have been witty breaks with Palladian rules.” Rather, they constitute “a sensible use of individual decorative motifs, in line with the taste for the ornate so widespread in the 16th and 17th centuries.” “Without marking a rupture from the High Renaissance,” Manca argues, “the appearance in America of a Renaissance manner apparently occurred without the kind of humor, sarcasm, strain, or rule consciousness often associated with Italian Mannerism.” In a telling phrase, Manca describes the vertically elongated urns in the canted panel of the cupboard as “merely present and serving to divide the space.” In short, he resists the intentionality that Trent imputes to the maker of the cupboard and hence its claim to the mantle of mannerism. The first reaction of the decorative art historian, on reading Manca’s critique, may simply be to reject it on the grounds of historiographic precedent. While Trent occupied a vanguard position in applying the term to American material, his work came out of a long tradition of describing northern European and English work of the late sixteenth and early seventeenth century as mannerist. Trent refers particularly to the books of Sebastiano Serlio (1475–ca. 1554), Flemish designer Hans (or Jan) Vredeman de Vries (1527–1604), German fantasist Wendel Dietterlin (1550/51–1599), and French architect Philibert de l’Orme (ca. 1512–1570) of the school of Fontainebleau, all of whom are routinely called mannerist by decorative art historians, as originating sources for the motifs that appear on numerous American objects. Nor is it difficult to establish the means by which such Continental inﬂuences may have come to New England by the mid–seventeenth century. As Timothy Mowl points out, English designers did not even need to consult printed works: “Historians tend to drop the names of Dietterlin and de Vries arbitrarily as the sources of English Mannerist design, but in fact there was a sizable colony of Flemings like [Nicaise] Roussel working at Southwark in monumental masonry and woodwork from the mid-sixteenth century onwards and they are far more likely to have inﬂuenced the English design scene than foreign pattern books.” While Trent may have exaggerated in writing that northern European mannerism underwent a “mass-marketing” in England, numerous monuments of architecture, metalwork, woodwork, and plasterwork attest to the importance of this Flemish inﬂuence under the Elizabethan and Stuart courts. 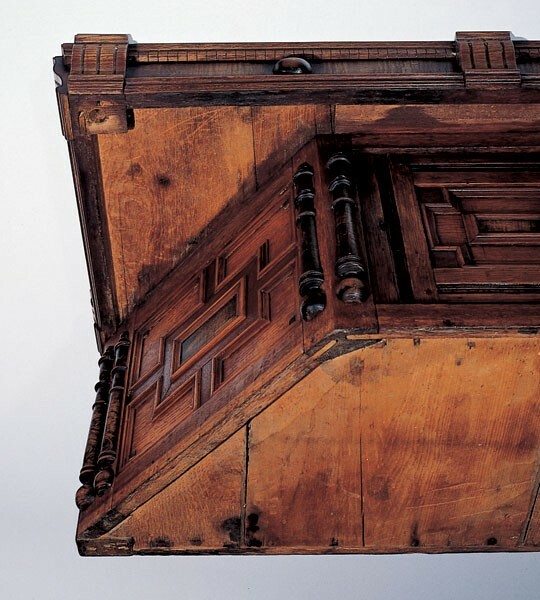 Joinery was among the least significant media for such transmission, but even so, many surviving pieces of interior woodwork in the style survive from Elizabethan and Jacobean England, as well as such ambitious freestanding artifacts as the “Great Bed of Ware,” probably made in the 1590s (fig. 5). Mentioned in Shakespeare’s As You Like It when it was new, and famous ever since, this bed features on its headboard extraordinary marquetry panels taken directly from Hans Vredeman de Vries. A more suggestive, if less well-known, example of this “mannerist” northern European style in English woodworking of the Stuart era is the set of seven triumphal arches erected in London to celebrate the formal entry of James I into the city as king in 1604 (fig. 6). Based directly on similar urban stage sets made in the Netherlands during the late sixteenth century, these arches were designed and built by joiner Stephen Harrison, who had at least eighty woodworkers under his management on the project—a significant percentage of the joiners in the city. The entry of James I is unusually well documented in a book of engravings by artist William Kip and in an explanatory text by Harrison, but it was only one of many public civic pageants during this era, suggesting that this ceremonial apparatus was not an isolated occurrence but the apex of what may have been a common application of decorative woodwork. Harrison’s arches were temporary, to be sure, but they were also huge (the first arch, located in Fenchurch Street, was about fifty feet tall and took about forty days to build) and likely seen by thousands of people. Most British architectural historians have dismissed this amazing prodigy of joinery as a muddle. Brian Earnshaw and Timothy Mowl, for example, damn Harrison as “reveal[ing] the total stylistic confusion of contemporary London with five chaotically detailed arches that greeted James I unpropitiously on his first entry into London,” while John Peacock describes them as “teeming farragoes of infelicitous detail, their chaos emphasized by a busy, rebarbative Flemish mannerist style.” Yet, as literary historian David M. Bergeron has argued, the arches represented a major advance in the conscious use of classical stylistic features. Harrison’s text demonstrates familiarity with the orders—“Tuscane, Doricke, Ionicke, and Cornithian . . . the name of Composita or Italica”—as well as such architectural terms as “postern,” “term,” “corbel,” “capital,” “cant,” “cornice,” “frieze,” “architrave,” ‘baluster,” and “pilaster,” all of which were recent imports into the English language. It is hard to dispute the notion that the arches were understood as a highly self-conscious statement of the primacy of classicism during the Stuart reign, given Harrison’s choice of the word Londinium (the original Roman name for the city) (fig. 7) and the close involvement of the classically informed poet and playwright Ben Jonson in their design and accompanying theatrical script. They were also clearly framed as totems of internationalism, in that two of the arches were paid for by the Dutch and Italian merchants living in London, clearly associating the new style on display and the geographic sources of that mode. Harrison’s arches serve as a reminder that joiners participated fully in the extraordinary ornamental style propagated through Continental print images seen in elaborate English chimneypieces, hall screens, tombs, and architectural “frontispieces” surrounding front entry doors that were built throughout England in the early seventeenth century (figs. 8, 9). In Elizabethan work the orders, as a rule, were always used in the crudest fashion: as compared with the building, they were almost always small in scale, never occupying more than one storey in height, and no attempt was made to impart the real spirit of Classic work to the mouldings and details. A good deal of taste and knowledge appears in their use on much of the work, more especially in small decorative items such as paneling etc., but as a whole the result is most unsatisfactory when we remember that the Renaissance decoration had filtered through German and other foreign mediums, and was carried out more in the manner of a schoolboy writing an essay than as the true expression of the feelings of the workers themselves. By extension, one might stake out a conservative position on the question of mannerism that draws bright lines around Italian and French practice and that portrays other work of the period, even the sophisticated ﬂights of fancy of Hans Vredeman de Vries and other Flemish artists, not as properly mannerist, but as one among many varieties of “Late Renaissance” design. Citing recent work by Henri Zerner and others, Manca argues that this position has become normative of late among scholars of Continental decorative art. 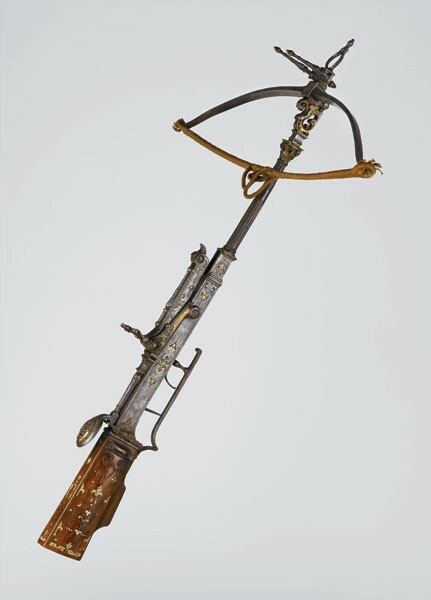 Nonetheless, it seems that “mannerism” is still frequently used with reference to Flemish design in particular, and Flemish design was by far the most powerful Continental inﬂuence on Elizabethan and Jacobean work. Whatever the nomenclature of the moment, the danger for the American furniture historian is clear: if the term “mannerism” is used very strictly in reference to its place of origin, Italy, and with increasing permissiveness in reference to its successively more far-ﬂung manifestations in northern Europe, England, and New England, then this is surely a matter for concern. Yet abandoning the term “mannerism” entirely as a descriptor of this international style, exemplified by some aspects of Serlio’s work and brought to a fever pitch by Vredeman and Dietterlin, does face three immediate objections. The first is practical in nature. The style in question, whatever we may choose to call it, is so widespread and distinctive as to require its own name. If one chooses not to call these things “mannerist,” that is of course defensible, since “mannerism” is a modern term and not a period one. But if one does not feel comfortable using that term for this style, with its easily identifiable combination of overlaid ornament, classical reference, twisting strapwork, and willfully idiosyncratic composition, then one will simply have to come up with another term. (“Late Renaissance,” the phrase Manca proposes, strikes this author as both unclear and insufficiently descriptive.) Since mannerism is in such general use among British architectural and decorative art historians—who typically use it to mean, in the words of Alice Friedman, “a broad-based, international style rooted in Italian painting, sculpture and architecture, but ultimately ﬂourishing in the ornamental and decorative motifs of the minor arts of northern Europe”—it seems unlikely to be dropped in that quarter, even if, like most stylistic terms, it is somewhat rough-and-ready in its application (fig. 11). A second objection, less obvious but also important, is that Manca’s argument rests on a misapprehension regarding the nature of stylistic transmission. To say that the application of a new design grammar is “wrong,” and therefore disqualified from participation in a style, is to ignore the nature of all stylistic transmission, which is always partly “right” and partly “wrong.” Such misinterpretation is the only possible mode of stylistic development, not only in the New World but in the rest of the world as well. As Forman wrote, style “is an idea in the mind, an abstraction.” Even objects that may seem to be as easily described, stylistically, as anything in the American canon only participate in certain ways with the words we usually employ. It is customary to say that the chair illustrated in figure 12, for example, is a fully developed representation of what we often call the “late baroque” style in Philadelphia. This is perfectly correct if we mean that it is curvaceous and stylistically unified. But is this chair conspicuously emotional, as baroque art is supposed to be? Does it display volumetric rhythm? Similarly, the suite of furniture represented by the chair shown in figure 13 has been described as “ the most aggressively rococo . 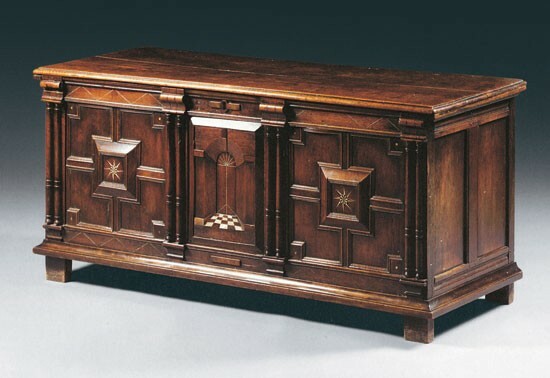 . . of all Philadelphia furniture.” Again, this characterization is correct if one focuses on the object’s carved decoration. But does this object exhibit an animistic or sexualized character or offer the observer a surprising or amusing experience? And does the “neoclassical” chair illustrated in figure 14 exhibit idealism of form? Does it offer a notion of perfection based on antique precedent? We might be able to say “yes” to some of these questions, all of which address baseline notions of the styles these chairs supposedly represent, but certainly not all of them. In effect, if we want to say that these three chairs are baroque, rococo, and neoclassical respectively, we have to give them more credit, as it were, than Manca would extend to the valuables cabinet shown in figure 2 or the court cupboard illustrated in figure 3. Finally, we might recall that Forman had chastening words for those who become preoccupied with terminology in the first place: “Is ‘what to call it’ really what we want to learn about the furniture of the past? Ours must be a frivolous discipline, indeed, if our greatest concern is what cubbyhole of language an object ought to be fitted into.” Stylistic description, he argued, was a matter of utility rather than historical truth. A term like “mannerist” is a tool, not an end in itself; it serves a purpose only insofar as it helps us to understand historical artifacts. “A work of art exists in a non-verbal context,” Forman argued. “The words we use to categorize an object represent only our ideas about that object and not the object itself.” By these lights, if the category of mannerism provides powerful interpretative insights—even if only by giving a widespread network of related artifacts a convenient label—then one should simply embrace it and get on to the business of interpretation. Yet these terminological objections, while they have a certain persuasive force, nonetheless miss the most provocative point of Manca’s essay: that mannerism is unlike other, seemingly parallel, stylistic terms. While the words “baroque,” “rococo,” or “neoclassical” can be used merely descriptively, he argues that the word “mannerist” necessarily implies a dialectical frame of mind. In Panofsky’s words, the style is premised on an “internal dualism” in which material form is made to indicate a transcendent plane beyond itself. Indeed, in the narrowest understanding of mannerism (which is not necessarily espoused by Manca), it is not so much a style as an esoteric theory of religious art that derives from form’s inability to capture the divinity of its own subjects. Broadening that definition slightly, mannerism might be understood as a reaction against humanistic Renaissance naturalism that consists of a reversion to abstract ideas, an idealization of form that is motivated by an acute awareness of maniera—of style itself. In this understanding, mannerism was a shift in art theory that gave new priority to the inner life of the artist. This precept was best captured in the writings of Federico Zuccari (1542–1609), whose 1607 treatise L’idea de’ scultori, pittori e architetti placed emphasis on internal design, disegno interno, which was the “example and shadow of the divine” and could only be translated into physical form through imagination. For Zuccari, a devotion to the rules of proper classical form typical of Renaissance academicism made such a translation impossible: “instead of increasing practical skill, spirit, and liveliness, this kind of thing would take them all away: the mind would debase itself, the judgment extinguish itself, and all grace, all spirit and savor, would be taken away from art.” Insofar as the idea of mannerism is bound up with such introspection concerning artistic intention itself, it is not difficult to see why Manca would see use of the term “mannerist” to describe American furniture as too charitable by far: it bestows a richness of intention and intellectual context to the objects that is not justified by the objects’ humble artisanal origins. 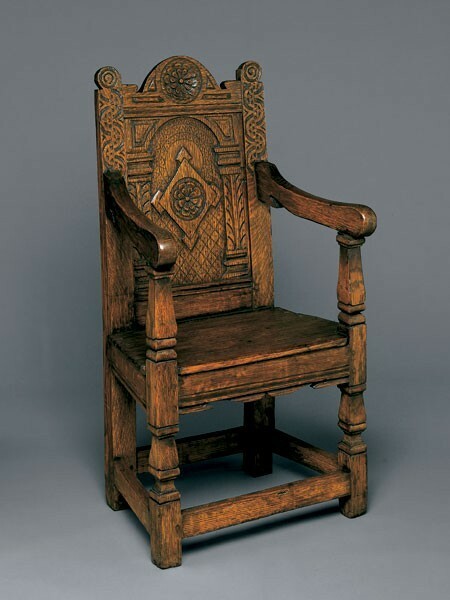 Trent himself has shown an acute sensitivity to this methodological problem of intentionality, and indeed, it motivated his seminal study on vernacular chairs from Connecticut, Hearts and Crowns. Most unusually for a work of American decorative art history, Trent’s book began with a methodological preface centered on the classic text The Life of Forms in Art by medieval art historian Henri Focillon (1881–1943). Focusing directly on the question of stylistic transmission, Trent wrote, “Focillon posited a spontaneous interaction of and mutual interdependence between forms and materials. This interdependence suggests that a form worked in one material is not the same when worked in another; it is transformed. Knowledge of technique is one way of lending the art historian a sort of objectivity, since it allows him to reconstruct the artistic process.” This search for “objectivity” led Trent to apply to seating furniture Henry Glassie’s technique for examining vernacular architecture through mathematical models. 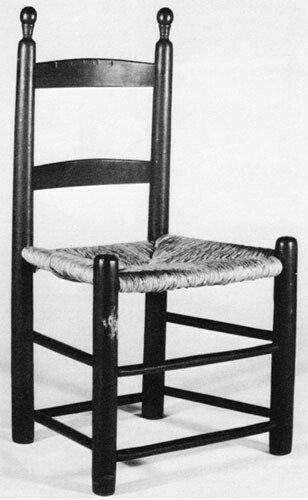 Just as Glassie had mined the folk housing of Virginia and found unexpectedly rich systems of composition, Trent argued that rural Connecticut chairs were constructed using modular units of measure (figs. 15, 16). Of course, the presence of mathematical systems is no proof of properly artistic intention—it could merely indicate a turner’s use of pattern sticks—but even so, it is not hard to see why the hidden structural logic of a chair appealed to Trent. “One has to respect the creative ability of the old-time turners,” he wrote. “They were thinking, not merely reacting.” This search for the active mind of the craftsman is what impelled Trent to use the term “mannerism” in his explication of seventeenth-century furniture. Just as Manca considers early American furniture to lack a high degree of self-consciousness, Trent is looking for its manifestations. To be sure, Trent has never argued that the craftsmen who made mannerist furniture intended their products to be “witty” per se. As he noted in New England Begins, “the joiners of New England almost without question worked on the basis of set formulas repeated by rote; the actual designing had taken place one or two generations previously in much more elevated circumstances.” Initially, this concession seems to conﬂict with Trent’s other statements about mannerism, as when he writes that the same joiners “were breaking the rules in a deliberate, not an inadvertent, way.” This contradiction can be resolved, however, if we understand Trent as saying that the quality of mannerist self-consciousness is not literally a matter of a given maker’s attitude. It is, rather, inscribed into the very bones of the style. These joiners were not chuckling ironically to themselves in their shops, but they were upholding period notions of good design, in which classical orders and ornament were seen as a system defined not by constancy, as we now think of it, but by and through constant variation. This is self-consciousness, perhaps, but self-consciousness of a very particular sort. It is the crucial subtlety that cannot be ﻿captured in Manca’s persuasively commonsensical understanding of style, which sees in American furniture distillation, diffusion, simplicity, and even “naïve charm,” but not “crisis, alienation, decadence, gross self-consciousness, or a clever rebellion against a norm.” In taking the apparent simplicity of much American furniture at face value, Manca shuts out the interpretative possibilities that lie just beneath its surfaces. To make the case for mannerism in American furniture, we must adopt a broader methodological principle than simple categorization: style must be seen simultaneously as embodied physically within a single artifact and as an intangible cluster of ideas, which travel on many registers above and outside individual shop practice. Forman made this point with charming concision in his unpublished notes at Winterthur: “Each social group from the largest (Western civilization) to the smallest (you and your spouse) defines the rightness of what you perceive, especially in the matter of proportion and other ordered relationships spatial, temporal and harmonic.” Understanding style in this telescopic fashion means responding to Forman’s call for a modernized connoisseurship, in which period aesthetics are considered in all their abstract global complexity but also tested against every aspect of what a particular joiner’s design sensibility could have been (and vice versa). Ultimately this is the best way of settling the debate about mannerism in American furniture: not by appealing to prevailing norms of nomenclature, nor by establishing a firmly bounded stylistic category, but instead by trying to understand mannerism, all at once, as a style and as a complete view of the world. In any attempt to establish a useful understanding of New England’s mid-seventeenth-century furniture, it makes sense to start in Old England in the Jacobean period, for it was in that place and time that the salient designs, and indeed many of the joiners themselves, originated. This is the half century circumscribed by Shakespeare’s comedy As You Like It (ca. 1598–1600), which declared “All the world’s a stage / and all the men and women merely players,” and Thomas Hobbes’s 1651 political treatise Leviathan, in which he penned the legalistic lines “a Person, is the same that an Actor is, both on the Stage and in common Conversation; and to Personate, is to Act, or Represent, himselfe, or an other; and he that acteth another, is said to beare his Person, or act in his name.” As both Shakespeare’s and Hobbes’s words attest, the British worldview of the time was characterized by extreme self-consciousness. This was not, admittedly, the self-consciousness of Italian theorists such as Zuccari, which circulated around problems of representation and the divine. English artistic preoccupations were no less abstract, but in a different key: appropriately for a Protestant culture, they centered on the more secular problem of framing political power. More particularly, it might be said that the distinctively British version of mannerism took the form that was to concern Hobbes so greatly: a staging of power through the metaphor of theater. It is this developed but in some ways parochial structure of mannerist thought that informs Anglo-American furniture of the early seventeenth century. Let us begin at the end of the trail, with a table made in Boston during the third quarter of the seventeenth century, well after its basic design had been developed in London (fig. 17). It is an object of somewhat uncertain purpose. 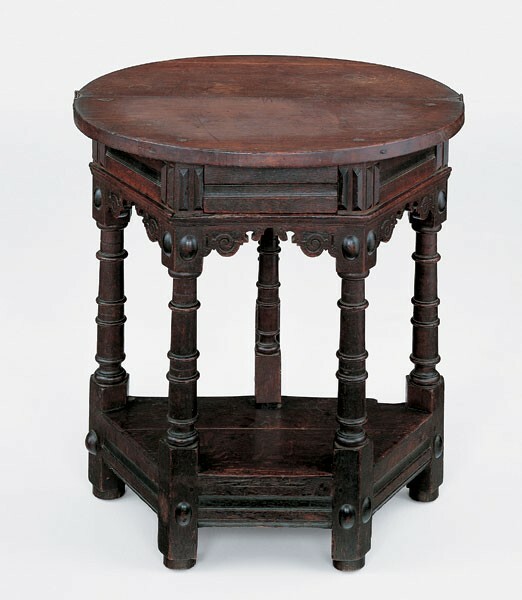 Its hinged-leaf top encourages the historian to see it as a mobile domestic form intended for serving food, an ancestor of eighteenth-century breakfast, card, and tea tables. 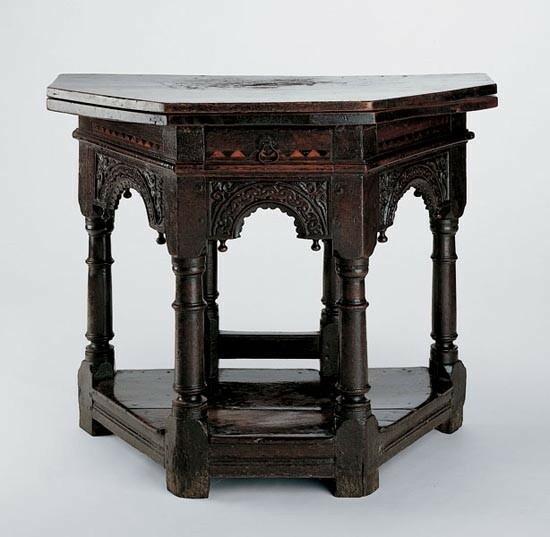 Its British antecedents, also normally fitted with folding tops, have been called “credence tables” since at least the nineteenth century, suggesting that they were placed on the south side of a church altar to hold sacramental equipment for the Mass. Victor Chinnery, however, has dismissed the term “credence table” as a nineteenth-century antiquarian fantasy. He convincingly argues that the form would have been called a “livery table” or “cubberd table” and used to dispense food and wine to the members of a household. Though it is not inconceivable that these forms may have seen some ecclesiastical use, the design was almost certainly intended for a domestic context. 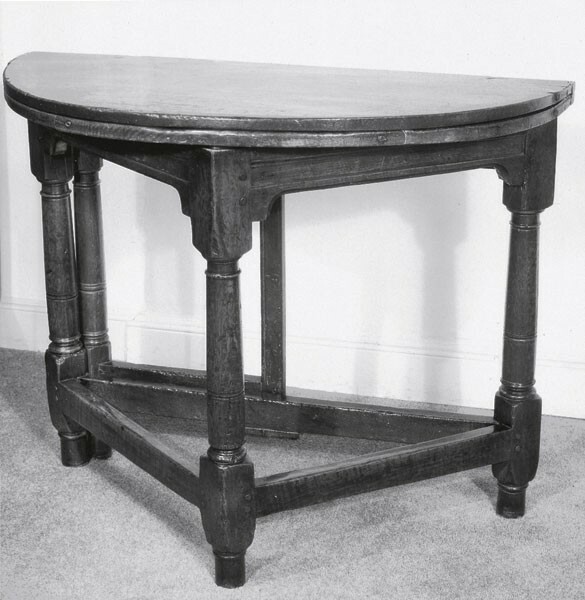 Sometimes these British tables are three-legged and have a triangular base, but the majority of them are, like the Boston example, structured around a trapezoidal core with a drawer in the front rail (figs. 18, 19). Though such tables may have been covered with cloth extending to the ﬂoor on ceremonial occasions, it is obvious that they were sometimes left uncovered, for their ornament is often impressive. 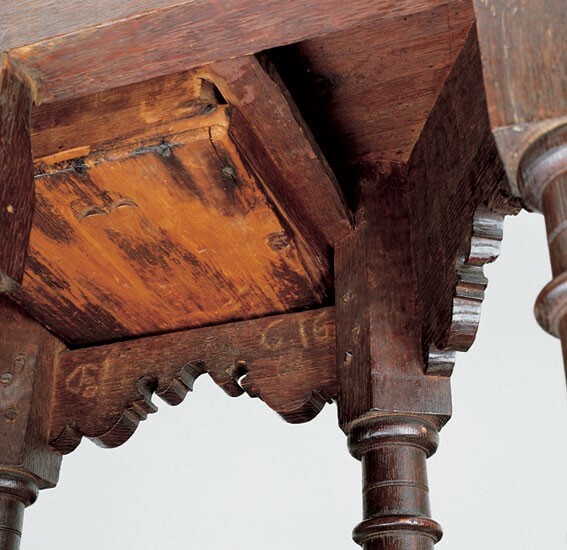 The Boston table features four notable and highly charged pieces of decoration: banding around the turned legs; maple bosses on the upper and lower stiles; glyphs made of imported cedrela at the angles of the rails; and, most strikingly, vestigial strapwork on the integral skirt brackets (figs. 20, 21). 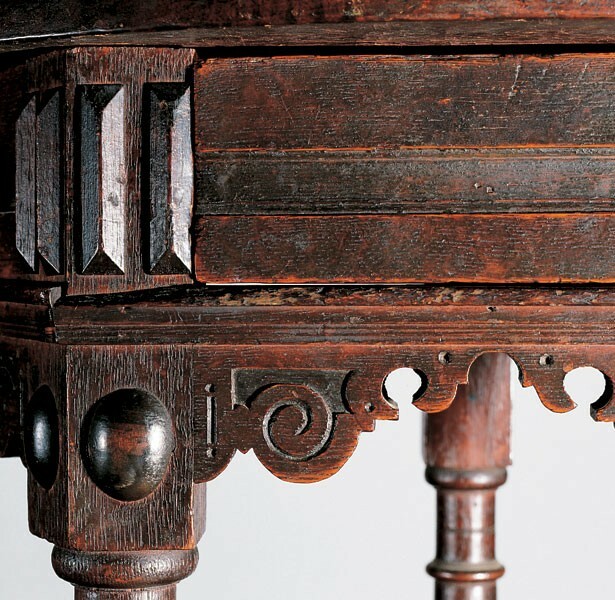 These features, particularly the first and last, place the table in a stylistic continuum with European design—the strapwork drawn from Flemish pattern books, furniture, metalwork, and architecture, and the banded legs an adaptation of de l’Orme’s “French Order” (fig. 22). De l’Orme proposed this new classical order in his 1561 Nouvelles inventions pour bien bastir et à petits frais as a consciously nationalistic gesture in his departing from classicism as a way of showing France’s importance; the appearance of this feature approximately a century later in an English colonial context is an unusually powerful reminder of the interconnected nature of seventeenth-century European design. In short, if there is mannerist furniture from New England, then this table is surely it. While it might seem fanciful to connect a New England table with abstract Italian geometric principles, the leap is not as far as it might at first appear. Many other pieces of seventeenth-century furniture, both Continental and British, feature explicit instances of perspective images, sometimes simply incised and at other times carved or inlaid (fig. 26). 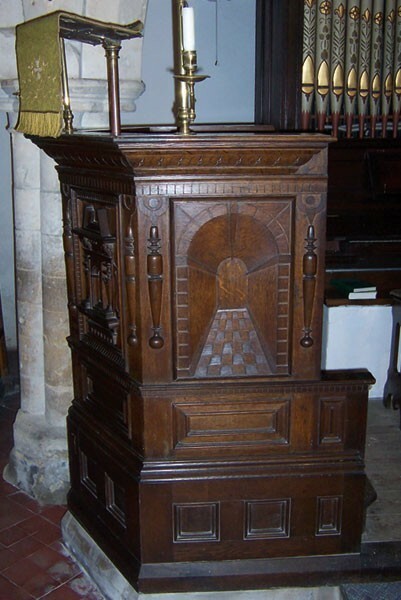 In British church pulpits, the trapezoidal plan we have seen on other pieces of furniture is sometimes combined with a summary perspectival scene, suggesting a connection between literal and pictorial spatial recession (fig. 27). Furthermore, architectural and ornamental pattern books of the period, which were increasingly important sources for joiners and artisanal builders, often included lengthy treatises on the subject of perspective. The most important and inﬂuential of these was the second book of Serlio’s Tutte l’opere d’archittetura et prospetiva, translated and printed in London in 1611. Other volumes that brought Continental decorative motifs to London were primarily treatises on perspective and served as pattern books only incidentally (fig. 28). We know, too, that Joseph Moxon’s Mechanick Exercises (London, 1678) recommended treatises on proper perspective by Serlio, Vincenzo Scamozzi (1548–1616), and Samuel Marolois (1572–1627) for study by craftsmen. As might be expected in perspective treatises, which are filled with lines converging on vanishing points, these books feature one trapezoidal space after another. 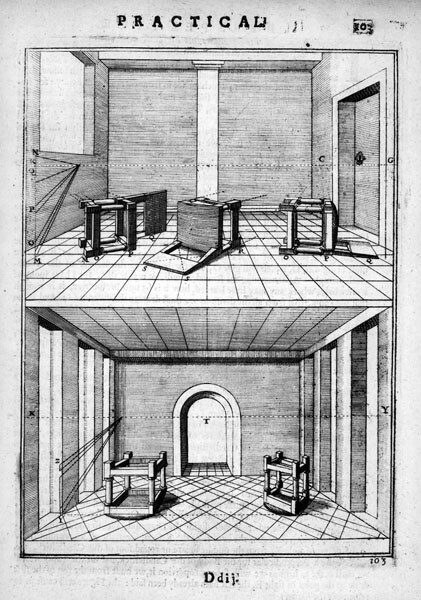 Most depict exterior architectural scenes, but occasionally they depict rooms populated with furniture—a notable example being Jean du Brueil’s La perspective pratique (1642–1649, published in English in 1672), in which cupboards, chairs, and tables are pressed into the matrix of illusionary recession (fig. 29). 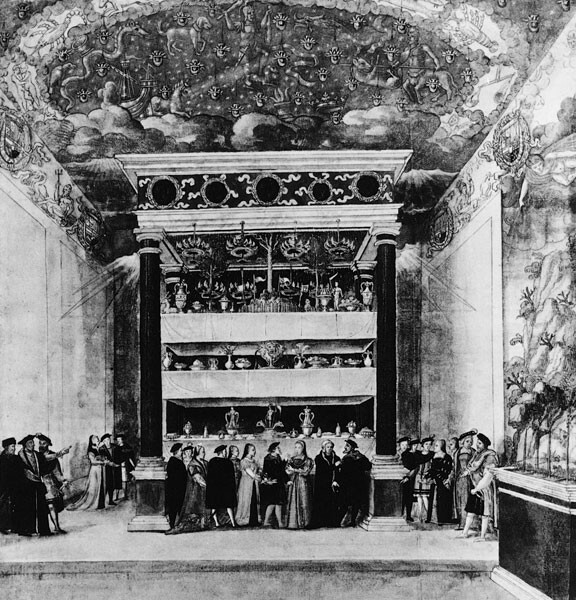 As has been suggested, theater was a powerful underlying metaphor for early-seventeenth century British culture, and it is to the theater, and particularly to stage design, that one must look for the connective tissue between the comparatively new science of perspective and the established trade of joinery. Like perspective, theatrical set design was an Italian invention that featured prominently in printed source books of the period. Writers who specifically addressed the subject included Italians Serlio, Scamozzi, Guido Ubaldi, and Nicola Sabbatini, as well as such northern European authorities as Dietterlin, Vredeman de Vries, and French engineer Salomon de Caus; all presented perspective, architecture, and scenography as interpenetrating and overlapping disciplines. 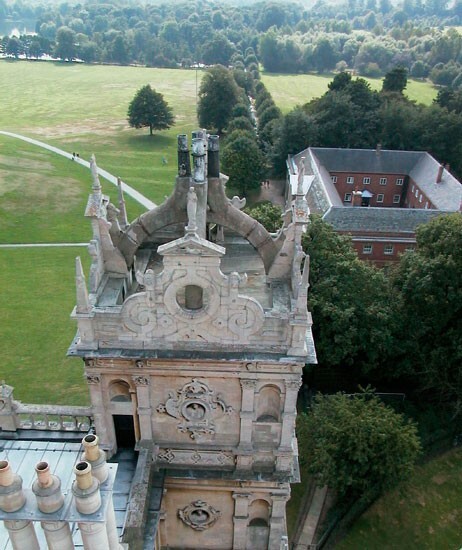 The great interpreter of this body of thought in England was the architect Inigo Jones, whose early work consisted, not of the classically correct buildings for which he is so justly famous, but courtly masque designs in the mannerist style. 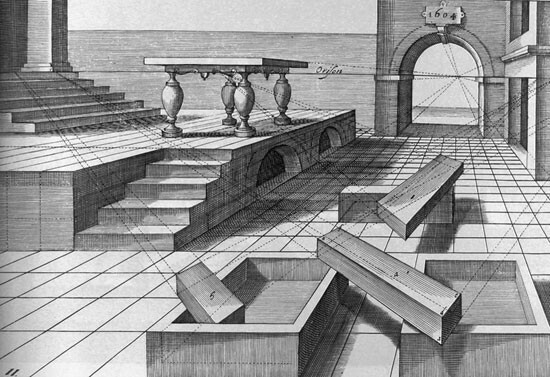 Jones identified perspective as the single tool in the architect’s intellectual arsenal that permitted him to invent successful new designs, noting in his copy of Daniello Barbaro’s 1559 La pratica della perspectiva: “great creditte to the Architecte whe[n] beinge forced to goe fro[m] the simitri nothing is taken fro[m] the beauti of the aspecte. therfor prospective is nessesary.” His work for the theater served as a kind of laboratory for experimentation with the new system, and not coincidentally the trapezoidal leitmotif also appears repeatedly in his masque designs (fig. 30). The connynge of the office resteth in skill of devise, in understandinge of hystories, in iugement of comedies, tragedyes and shewes, in sight of perspective and architecture, some smacke of geometrye and other thinges wherefore the best helpe is for the officers to make good choyce of cunynge artificers severally accordinge to their best qualitie, and for one man to allowe of an other mans invencion as it is worthie. Mythology, there painted on slit deal. Painting and carpentry are the soul of masque. The first thing that presented itself to the eye, was the Ornament that went about the Scene: in the middest of which was placed a great Armes of the Kings, with Angels holding an Emperiall Crowne, from which hung a Drapery, of crimson Velvet, fringed with Gold, tact in severall knotts, that on each-side, with many folds, was wound about a Pillaster . . . and at the foot of the pilasters, on each side, stood two Women, the one young, in a watchet Robe looking upwards, and on her head, a paire of Compasses of gold, the poynts standing towards Heaven: the other more ancient, and of a venerable aspect, appareled in tawney, looking downewards; in the one hand a long ruler and in the other, a great paire of iron Compasses, one Poynt whereof, stood on the ground, and the other touched part of the ruler. Above their heads, were fixt, compartiments of a new composition, and in that over the first, was written Theorica, and over the second Practica, shewing that [in] these two, all works of Architecture, and Inginiring have their perfection. The construction of such an elaborate allegorical affair would have necessitated the contribution not only of joiners but also of textile purveyors, painters, and carvers—an artisanal community that is itself represented by the symbolic statue of “venerable” Practica with her twin compasses, a device that was also a central feature in the coat of arms granted to the Worshipful Company of Joiners and Ceilers of London in 1571 (fig. 31). Returning to the folding table (fig.17), we might make the observation that the overall shape of the design is not unlike that of a masque stage. It has framing columns, a decorated skirt suggesting the swags of fabric atop a proscenium arch, and, as we have seen, the sense of dramatic recession that, in an actual masque, would have been achieved using an architectural backdrop. This metaphorical reading of the table would take on additional persuasiveness were we to see it set with silver, ceramic, and textile accoutrements, as it might have originally been, for this would have created a massed decorative effect like that of a masque stage populated with costumed dancers. The same comparison might be made with even greater force with reference to the most impressive of mannerist furniture forms made in America, the domestic cupboard (fig. 32). Though numerous renditions of this form survive from elsewhere in Massachusetts (see fig. 3) and Connecticut, only one example survives from the Boston shop tradition that made the table. Like the table, the cupboard is based closely on London precedents (figs. 32, 34). Its upper “stage” is indeed like a miniature theatrical set, with columns at each side and the now-familiar recessional trapezoidal layout reminiscent of scenographic renderings in perspective. Like the folding table, such cupboards present something of a conundrum in terms of nomenclature. 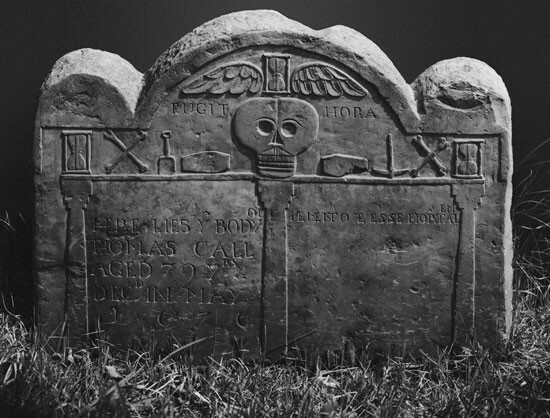 In period New England accounts they are described as “cant cupboards,” which indicates that in their own time their backward-raking panels were thought to be their defining feature. Today they are most commonly called “court cupboards,” which is also a period term (Shakespeare used it, among others), but which may have specifically designated open storage units of two or more shelves, not examples featuring an enclosed compartment. 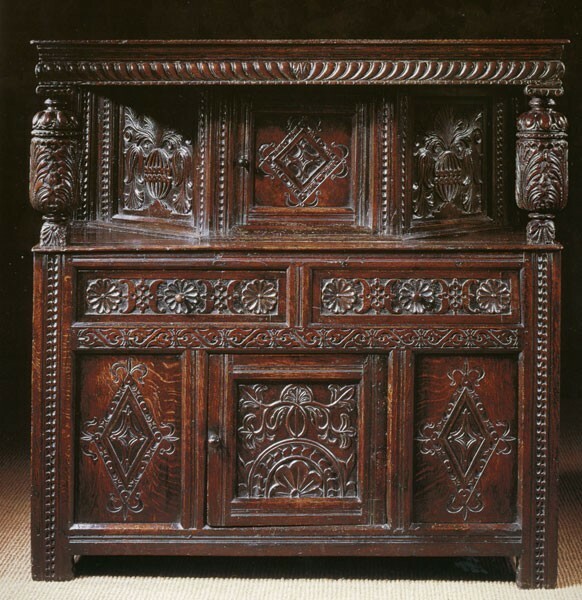 The term “court cupboard” implies diffusion from some palatial form, but it has also been seen as an English borrowing of a French term for a cupboard (or buffet) that was short (court) in comparison to earlier, more massive designs. Whether or not this etymology is accurate, it is possible that the precedents for such cupboards were indeed much larger—perhaps “stage cupboards” used at court in the sixteenth century. An entry in the Declared Accounts for the Royal Works in the year 1581/1582 records payments for construction in the new Whitehall Banqueting House that include “frayminge of hallpaces and two stage Cuburdes with railes.” This Banqueting House, one of several precursors to Inigo Jones’s famous building of 1622, was a curious temporary structure with painted canvas walls, a roof held up on large posts, and lavish interior woodwork including a full stage and dancing ﬂoor. It was used mainly for the entertainment of Queen Elizabeth, and masques were repeatedly staged inside the space. The stage cupboards themselves were large wooden constructions for the display of plate, like an oversize nineteenth-century étagère. The form was made yet more monumental by setting it on a “hallpace,” from the French haut pas, a raised ﬂoor or dais. 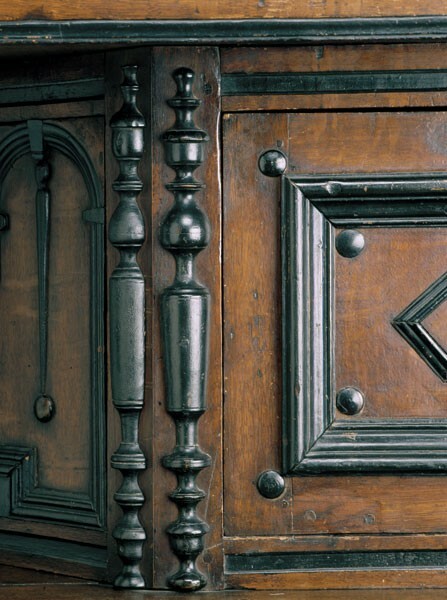 Like the arches made for civic pageants and the sets for masques themselves, the stage cupboard is a form that does not survive to the present day but suggests a lost connection between the worlds of architecture, courtly theater, and joinery. Also like architecture and theatrical set design, the stage cupboard was an import from the Continent. The best-known example dates from 1549, when the Spanish prince (who, six years later, would become King Philip II) visited the town of Binche in the Netherlands. There he was fêted at an entertainment featuring a stage cupboard three storeys high, fitted with a canopy supported by two large Doric columns (fig. 35). The following year Philip reached Antwerp, where he was greeted by triumphal arches of Serlian design, similar to those erected in London five decades later. What are we to make of this suggestive web of connections, and how might they enrich the concept of mannerism as a term of explication for early American furniture? First, connecting furniture to perspective, architecture, and stage design provides an escape from the arbitrary semantics of stylistic nomenclature. In describing the complex field of textual, pictorial, and artifactual novelty at this time as “mannerist,” and seeing furniture as inseparable from (rather than derivative of) this field, we can come to grips with the element in the furniture that was most transformative. For mannerism was not just a new language of ornament—though it was that—nor was it really a license to depart willfully from classical form. Though it would be a mistake to think, as Manca seems to, that Anglo-American joiners were not highly literate in classical design, neither does it make sense to define mannerism as a model of liberation from academic propriety, because in Anglo-American culture at this time classicism was not perceived as a rigid canon in the first place. Indeed, in the formal drama of mannerism, classical motifs played a leading role, but not an exclusive one. Strapwork itself is a nonclassical innovation, and many of the features that most strongly characterize mannerist furniture are matters of overall structure rather than decoration. The reason that these forms should be designated as mannerist is not only because of their relation to classical ornament, then, but because they were part of a shift in the nature of design itself. 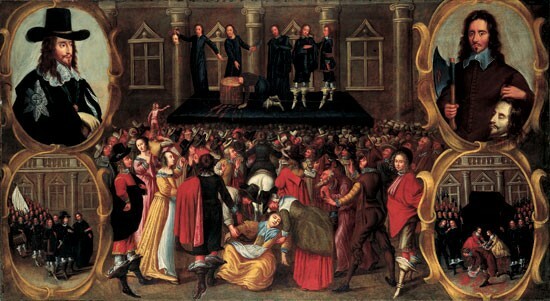 As theater historian John Orrell has written, “a stage design is—at least potentially—a sort of metascene, or perspective of a perspective,” and the same could be said of mannerist furniture: it is, at least potentially, metafurniture, which dramatically announces itself as performing a role in its environment. It holds fast to a primary artistic principle of its day, aptly summarized by art historian Mary Ann Caws: “mannerist gesture precisely points to its own pointing.” This is emphatically not the same as saying that mannerist furniture drew attention to itself—that is, after all, a feature of highly decorated furniture in any period. Mannerist furniture is distinctive, not for its level of ornament, but in the nature of its ornamental organization. Mannerist American furniture may look deceptively simple in comparison to Continental precedents. But it is still decorated, and its decoration is thematized around its own purpose as decoration. Strapwork boldly announces its own purpose as a framing element; swollen and exaggerated columns, pediments, and moldings are so assertive that they threaten to overwhelm the forms they articulate; perspective effects meet and order the gaze through an aggressively artificial system of forms. Mannerist self-consciousness did take place in America—not at the level of individual workmen’s attitudes, but at the level of furniture’s participation in a broader culture of conspicuous demonstration. Today, a world in which the greatest political event of a lifetime was experienced as theater may seem strangely familiar—a forerunner, perhaps, of our own era of postmodern self-regard. Arnold Hauser, a German art historian who did much to advance the notion of mannerism in the fine arts, might have agreed with such a characterization. He wrote, “Mannerism, which discovered the spontaneity of the mind and recognized art as an autonomous creative activity, developed, in accordance with the spirit of that discovery, the totally new idea of fictitious space.” For Hauser, mannerist art opened the door to that most modern way of thinking about representational art: in terms of a dynamic relationship between “the space within and the space without.” According to this understanding, the artificiality of depicted space not only was acknowledged by mannerist artists but was transformed by them into an aesthetic in its own right. Even when furniture does not literally resemble a theater set or a strapwork-rich print source, it can be quite profitable to see it in these terms. 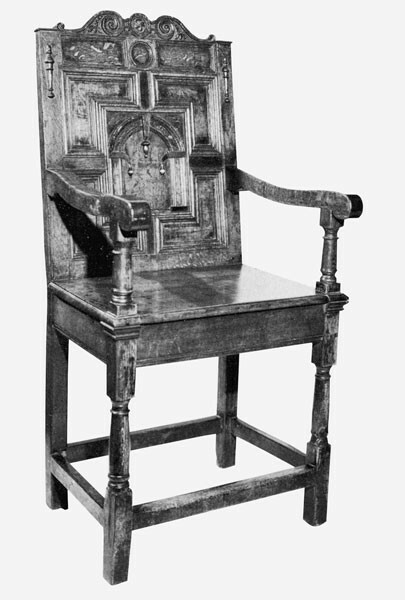 Thus, it is easy to claim the famous Ipswich joined chair illustrated in figure 38 as a presentational mannerist object (pace Manca, who views it as “a rich but not strained application of Renaissance motifs”). Its horizontal strapwork banding above the panel, columnar supports, trapezoidal plan, finials, and figural stile ornaments all suggest connections to theatrical stages, architectural and book frontispieces, or printed cartouches (fig. 39). Its surmounting crest possesses an explosive architectural character and, as a crowning touch to the composition, rivals the gable on a Robert Smythson country house (fig. 40). Yet its underlying mannerist handling of space is not substantially different from that of the chair shown in figures 41 and 42, which seems at first a poor cousin: unlovely, and lacking the obvious ornamental cues of the style. Yet even in this artifact, one can see the traces of mannerist theatricality. Its framing columnar legs and its open stance, which is geometrically identical to the Ipswich example, act to funnel compositional force toward the open archway that decorates the back. That archway is lightly incised to suggest a checkerboard ﬂoor below and a vault above—the image is naïvely executed, to be sure, but nonetheless manages to convey the sense of an illusionary space. For all its apparent roughness, this chair plays its own demonstrative role no less dramatically than the Ipswich chair. Even if it is not a mannerist masterpiece, it should be seen on a continuum with objects grander than itself—not only stylistically, but conceptually as well (figs. 43, 44). Clearly, there are limits to the degree of inﬂuence that mannerism had on New England furniture, which was a complicated blend of new Continental ideas, lingering medievalisms, and technological determination, and it would also be foolhardy to claim that furniture can be “about” representational space to the same extent as a painting or even a theatrical design. But it would be equally inadvisable to deny, prima facie, that provincial New England furniture was in no way in dialogue with its own art historical period. The connections are more than stylistic. The mannerist masque includes its “audience” within itself, enforcing a ratification of courtly order through the structure of the king’s gaze. A mannerist civic pageant transforms a cityscape into a teeming affirmation of royalty through the device of a giant theater ﬂat. A mannerist painting, by acknowledging its artificiality, signals the vanity of its own attempt to represent the divine. Mannerist furniture, too, is structured around and through the person looking at it, and it, too, represents an authority that is not negotiable. It is no coincidence that its most typical forms play a dominant role in the home: a court cupboard or a serving table to be laid with silver, or a great chair meant to enthrone the family patriarch. These pieces of furniture were not commodities in the modern sense. They were valuable, of course, and they were part of a system of conspicuous consumption. But like all mannerist art, they also operated above and outside that system. They were premised on the conceit that it was in the theater of power that power itself was made real. TOUCHSTONE: Why, if thou never wast at court, thou never sawest good manners; if thou never sawest good manners, then thy manners must be wicked; and wickedness is sin, and sin is damnation. Thou art in a parlous state, shepherd. CORIN: Not a whit, Touchstone: those that are good manners at the court are as ridiculous in the country as the behavior of the country is most mockable at the court. You told me you salute not at the court, but you kiss your hands: that courtesy would be uncleanly, if courtiers were shepherds. The author would like to thank Joseph Manca for his provocation and subsequent forbearance. Additional thanks are owed to Luke Beckerdite, Victor Chinnery, Edward S. Cooke Jr., Sarah Fayen, Peter Follansbee, Brock Jobe, Ethan Lasser, Alan Miller, Jonathan Prown, Frederick Vogel III, Alicia Volk, Philip Zimmerman, and particularly to Robert F. Trent. A complete bibliography of Forman’s published writings can be found in New England Furniture: Essays in Memory of Benno M. Forman, edited by Brock W. Jobe (Boston: Society for the Preservation of New England Antiquities, 1987), pp. xv–xvi. Benno M. Forman, American Seating Furniture, 1630–1730: An Interpretive Catalogue, edited by Robert F. Trent and Robert Blair St. George (New York: W. W. Norton, 1988), pp. 8, xxiv. Benno M. Forman, “Delaware Valley ‘Crookt Foot’ and Slat-Back Chairs: The Fussell-Savery Connection,” Winterthur Portfolio 15, no. 1 (spring 1980): 41–64, at 49; Albert Sack, The New Fine Points of Furniture, Early American: Good, Better, Best, Superior, Masterpiece (New York: Crown Publishers, 1993). Joseph Manca, “A Matter of Style: The Question of Mannerism in Seventeenth-Century American Furniture,” Winterthur Portfolio 38, no. 1 (2003): 1–36, at 1, 5, 8. Calcagnini cited in John Shearman, Mannerism (London: Penguin Books, 1967), p. 156; Sebastiano Serlio, Extraordinario libro di architettura (1551), pl. 28; Erwin Panofsky, Idea: A Concept in Art Theory, translated by Joseph J. S. Peake (1924; reprint, New York: Harper & Row, 1960), pp. 73, 79. Manca, “A Matter of Style,” p. 34. Robert F. Trent, “The Concept of Mannerism” and “New England Joinery and Turning before 1700,” in New England Begins: The Seventeenth Century, edited by Jonathan Fairbanks and Robert Trent, 3 vols. (Boston: Museum of Fine Arts, 1982), 3: 368–412, 501–10. Manca, “A Matter of Style,” p. 23. Trent, “The Concept of Mannerism,” p. 376. For a detailed account of English borrowings from Serlio, Dietterlin, Vredeman, and de l’Orme, see Anthony Wells-Cole, Art and Decoration in Elizabethan and Jacobean England: The Influence of Continental Prints, 1558–1625 (New Haven, Conn.: Yale University Press, 1997), pp. 15–18, 27–30, 38–40, 58–88. Wells-Cole shows that of these figures, Serlio and Vredeman were the most significant. By comparison, the direct influence of Dietterlin and de l’Orme was negligible. Timothy Mowl, Elizabethan and Jacobean Style (London: Phaidon Press, 1993), p. 164; see also Benno M. Forman, “Continental Furniture Craftsmen in London,” Furniture History 7 (1971): 94–120; Neil Kamil, Fortress of the Soul: Violence, Metaphysics, and Material Life in the Huguenots’ New World, 1517–1751 (Baltimore: Johns Hopkins University Press, 2005), chap. 13, passim. Shakespeare’s lines are as follows: “Go, write it in a martial hand; be curst and brief; / it is no matter how witty, so it be eloquent and fun / of invention: taunt him with the licence of ink: / if thou thou’st him some thrice, it shall not be / amiss; and as many lies as will lie in thy sheet of / paper, although the sheet were big enough for the / bed of Ware in England, set ’em down: go, about it.” Twelfth Night (ca. 1601), act 3, scene 2. Thomas Dekker, in a separately published text on the entry festivities, noted that the work crew for the entertainment included eighty joiners, sixty carpenters, six turners, and other artificers, “over whom Stephen Harrison Joyner was appointed chiefe; who was the sole Inventor of the Architecture, and from whome all directions, for so much as belonged to Carving, Joyning, Molding, and all other worke in those five Pageants of the Citie (Paynting excepted) were set downe.” Dekker further described “The magnificent entertainment given to King Iames, Queene Anne his wife, and Henry Frederick the Prince, uppon the day of his Maiesties tryumphant passage (from the Tower) through his honourable cittie (and chamber) of London, being the 15. of March. 1603, As well by the English as by the strangers: with the speeches and songs, delivered in the severall pageants.” Other civic pageants included the annual lord mayor’s inauguration in London and processionals used to entertain royalty on their progresses around England. See Jacobean Civic Pageants, edited by Richard Dutton (Staffordshire, Eng. : Keele University Press, 1995); Dutton identifies John Grinkin as another artificer who contributed to such pageants, pp. 10, 141. Timothy Mowl and Brian Earnshaw, Architecture without Kings: The Rise of Puritan Classicism under Cromwell (Manchester, Eng. : Manchester University Press, 1995), p. 79. 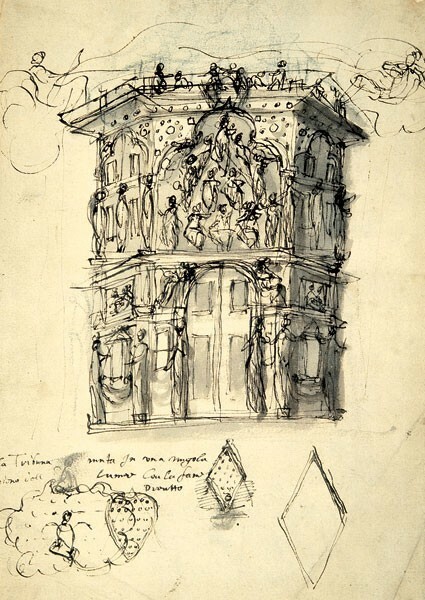 John Peacock, The Stage Designs of Inigo Jones: The European Context (Cambridge: Cambridge University Press, 1995), pp. 62–63. See also David Evett, Literature and the Visual Arts in Tudor England (Athens: University of Georgia Press, 1990), pp. 95–102. David M. Bergeron, “Pageants, Masques, and Scholarly Ideology,” in Practicing Renaissance Scholarship: Plays, Pageants, Patrons, and Politics (Pittsburgh, Pa.: Dusquesne University Press, 2000), pp. 164–92, passim, p. 181. Many of the terms Bergeron mentions first appear in English in John Shute’s The First and Chief Grounds of Architecture (London, 1563). 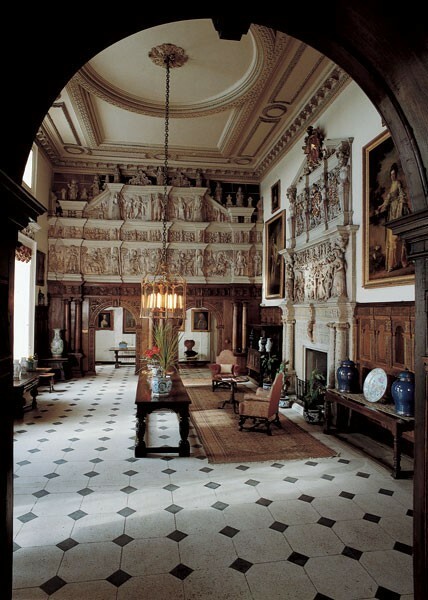 Anthony Wells-Cole points to the oak and plaster hall screen at Burton Agnes, Yorkshire, as “the nearest surviving visual equivalent” of Harrison’s monuments. Wells-Cole, Art and Decoration in Elizabethan and Jacobean England, p. 173. Design and the Decorative Arts: Britain, 1500–1900, edited by Michael Snodin and John Styles (London: V&A Publications, 2001), p. 84. Manca, “A Matter of Style,” p. 27; Horace Field and Michael Bunney, English Domestic Architecture of the XVII and XVIII Centuries (London: G. Bell and Sons, 1928), p. 15. Mark Girouard, who describes Smythson’s architecture as “Elizabethan” rather than mannerist in style, vigorously objects to understanding the period in terms of mistranslation: “Elizabethan architecture at its best is not an undigested mixture, but a true synthesis, a style in its own right.” Girouard, Robert Smythson and the Elizabethan Country House (New Haven, Conn.: Yale University Press, 1983), p. 162. Manca points to Malcolm Airs, The Tudor and Jacobean Country House: A Building History (Bridgend, Eng. : Bramley Books, 1998), as upholding a view of English architecture as a case of ineptitude rather than conscious manipulation of classical norms. David Evett also sees artisans as slowing and modifying the influx of new ideas, a process he refers to as “crafts inertia.” Evett, Literature and the Visual Arts in Tudor England, p. 11. Manca, seeking to undercut prevailing uses of the concept of mannerism, suggests that Summerson himself had regrets about the choice of the term “artisan mannerism” by the time of his classic work’s 1983 edition, but to me this seems unlikely given his continued use of the phrase. Manca, “A Matter of Style,” p. 28 n. 33; John Summerson, Architecture in Britain, 1530–1830, (1953; rev. ed, New Haven, Conn.: Yale University Press, 1993), pp. 144V. In any case, Summerson’s locution has proved sufficiently useful to win wide currency among historians of British art and architecture, notably Elizabeth Chew, Timothy Mowl, Caroline Van Eck, and Lucy Worsley. Wendell Garrett also adopted the phrase in “The Matter of Consumer’s Taste,” Winterthur Newsletter 15, no. 3 (March–April 1969); see also William N. Hosley, “Regional Furniture/Regional Life,” in American Furniture, edited by Luke Beckerdite (Hanover, N.H.: University Press of New England for the Chipstone Foundation, 1995), pp. 3–38, 35 n. 12. Manca, “A Matter of Style,” p. 27. Henri Zerner is not a recent convert to the limited view of mannerism; already in 1972 he argued against the prevailing scholarly habit, inspired by Shearman’s Mannerism of using the term to unite disparate media within an overarching “style of civilization.” Zerner, “Observations on the Use of the Concept of Mannerism,” in The Meaning of Mannerism, edited by Franklin W. Robinson and Stephen G. Nichols Jr. (Hanover, N.H.: University Press of New England, 1972), pp. 105–19, at 109. For a detailed account of Shearman’s position and Zerner’s critique, see Elizabeth Cropper, introduction to Craig Hugh Smyth, Mannerism and Maniera (Vienna: Bibliotheca Artibus et Historiae, IRSA Verlag, 1992). Alice T. Friedman, “Did England Have a Renaissance? Classical and Anticlassical Themes in Elizabethan Culture,” in Cultural Differentiation and Cultural Identity in the Visual Arts, edited by Susan J. Barnes and Walter S. Melion (Washington, D.C.: Center for Advanced Studies in the Visual Arts, 1989), pp. 95–111, 110 n. 3. For a wide-ranging application of the concept of mannerism to other decorative arts of the period, see J. F. Hayward, Virtuoso Goldsmiths and the Triumph of Mannerism (London: Sotheby Parke-Bernet, 1976); and Alain Gruber, The History of Decorative Arts: The Renaissance and Mannerism in Europe (New York: Abbeville Press, 1993). Manca, “A Matter of Style,” pp. 27–28. Manca also implies that Anthony Wells-Cole eschews the term “mannerism” in his recent Art and Decoration in Elizabethan and Jacobean England, which is not the case; see, for example, pp. 58, 170. Benno M. Forman, “Axioms for Furniture Historians,” Benno M. Forman Papers, box 1, Winterthur Library. Arnold Hauser, The Social History of Art, 4 vols. (New York: Alfred A. Knopf, 1951), 2: 355–56. Zuccari was in England in the mid-1570s and painted several portraits there; he is quoted in Moshe Barasch, Theories of Art from Plato to Winckelmann (New York: New York University Press, 1985), p. 298. See also E. James Mundy, with the assistance of Elizabeth Ourusoff de Fernandez-Gimenez, Renaissance into Baroque: Italian Master Drawings by the Zuccari, 1550–1600 (Milwaukee: Milwaukee Art Center, 1989); and Panofsky, Idea, pp. 75ff. Benno M. Forman, “Axioms for Furniture Historians.” Shearman, Mannerism, p. 19. 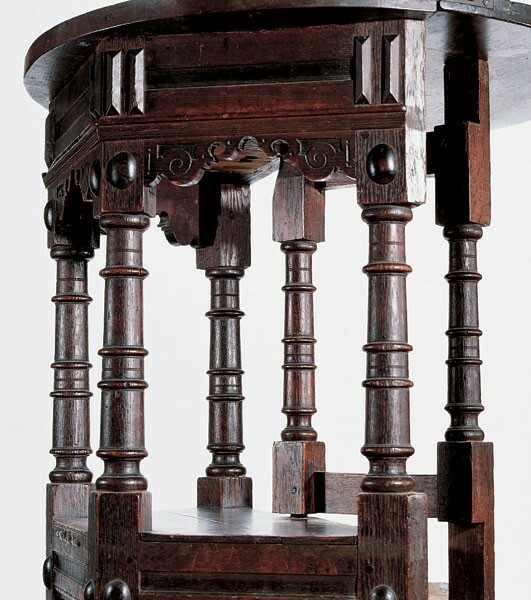 Robert F. Trent, Hearts and Crowns: Folk Chairs of the Connecticut Coast, 1720–1840 (New Haven, Conn.: New Haven Colony Historical Society, 1977), p. 11. 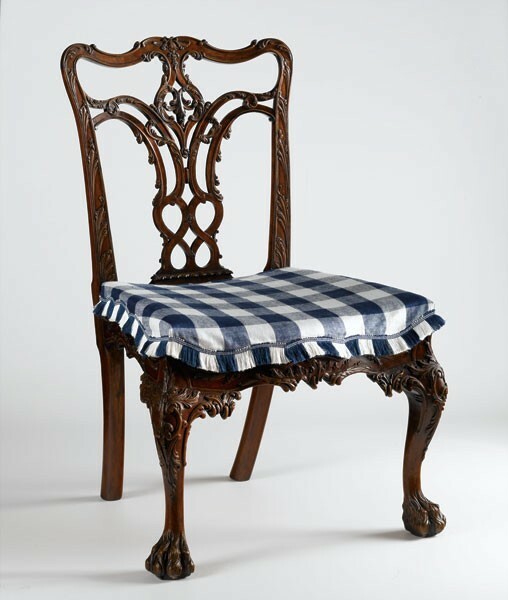 For a similar analysis of composition in turned chairs, see Robert F. Trent and Karin Goldstein, “Notes about New ‘Tinkham’ Chairs,” in American Furniture, edited by Luke Beckerdite (Hanover, N.H.: University Press of New England for the Chipstone Foundation, 1998), pp. 215–37. Trent, “New England Joinery and Turning before 1700,” pp. 504, 505. Manca, “A Matter of Style,” p. 36. As You Like It, act 2, scene 7. Thomas Hobbes, Leviathan (1651), pt. 1, chap. 16. As Manca points out, Shakespeare himself has in the past been called a mannerist author, notably in John Greenwood, Shifting Perspectives and the Stylish Style: Mannerism in Shakespeare and His Jacobean Contemporaries (Toronto: University of Toronto Press, 1988), though this attempt to circumscribe the playwright within a stylistic category has met with some skepticism. For an important early summation of mannerism as a term in literary history, see James V. Mirollo, “The Mannered and the Mannerist in Late Renaissance Literature,” in Robinson and Nichols, The Meaning of Mannerism, pp. 7–24. Christopher Gilbert, “Oak Furniture from Yorkshire Churches,” in Christopher Gilbert, Selected Writings on Vernacular Furniture, 1966–1998 (Leeds, Eng. : Regional Furniture Society, 2001), p. 9. Victor Chinnery, Oak Furniture: The British Tradition (Suffolk, Eng. : Antique Collectors’ Club, 1979), pp. 223, 305. Hilary Ballon, “Constructions of the Bourbon State: Classical Architecture in Seventeenth-Century France,” in Cultural Differentiation and Cultural Identity in the Visual Arts, pp. 135–48, at 136. Although de l’Orme’s treatise is known to have been present in England—Thomas Tresham, Francis Willoughby, and Henry Wotton all owned copies—Anthony Wells-Cole notes that direct borrowings from his work are rare among surviving buildings. Wells-Cole, Art and Decoration in Elizabethan and Jacobean England, p. 38. The French order appears with great frequency in mannerist objects from the Netherlands, so the route of transmission was likely through objects rather than print. John Dee, introduction to Euclid’s Elements (London, 1570; translated by Henry Billingsley), quoted in Lily Campbell, Scenes and Machines on the English Stage during the Renaissance: A Classical Revival (New York: Barnes and Noble, 1921), p. 80. On Serlio’s reception in England, see Sebastiano Serlio on Architecture, translated by Vaughan Hart and Peter Hicks (New Haven, Conn.: Yale University Press, 1996), pp. xxxiii–xxxiv; and Wells-Cole, Art and Decoration in Elizabethan and Jacobean England, pp. 15–18. Joseph Moxon, Mechanick Exercises; or the Doctrine of Handyworks (London, 1678; reprint, Mendham, N.J.: Astragal Press, 1994). For du Brueil, see Simon Jervis, Printed Furniture Designs before 1650 (Leeds, Eng. : Furniture History Society, 1974). For a discussion of seventeenth-century New England paintings, see Jonathan L. Fairbanks, “Portrait Painting in Seventeenth-Century Boston: Its History, Methods, and Materials,” in New England Begins, pp. 413–55. Peacock, The Stage Designs of Inigo Jones, p. 58. Sebastiano Serlio, The Book of Architecture, translated by Robert Peake (London, 1611). On the office of revels, see Campbell, Scenes and Machines, pp. 104–5; the quoted passage was originally transcribed in A. Feuillerat, Documents Relating to the Office of the Revels in the Time of Elizabeth (Louvain: A. Uystpruyst, 1908), p. 5. Busino is quoted in Allardyce Nicoll, Stuart Masques and the Renaissance Stage (New York: Benjamin Blom, 1938), p. 33. On musical instrument makers and geometric theory, see Stephen Birkett and William Jurgenson, “Why Didn’t Historical Makers Need Drawings? Part I: Practical Geometry and Proportion,” Galpin Society Journal, no. 54 (May 2001): 242–84. Jerzy Limon, The Masque of Stuart Culture (Newark: University of Delaware Press, 1990), pp. 59–60. Albions Trivmph: Personated in a Maske at Court (London, 1631). As is typical of Jones’s work, the allegorical figures of Architecture are drawn from Continental pattern books; identical representations of Theory and Practice appear, for example, in the frontispiece to Vredeman de Vries’s Architectura (Antwerp, 1577). 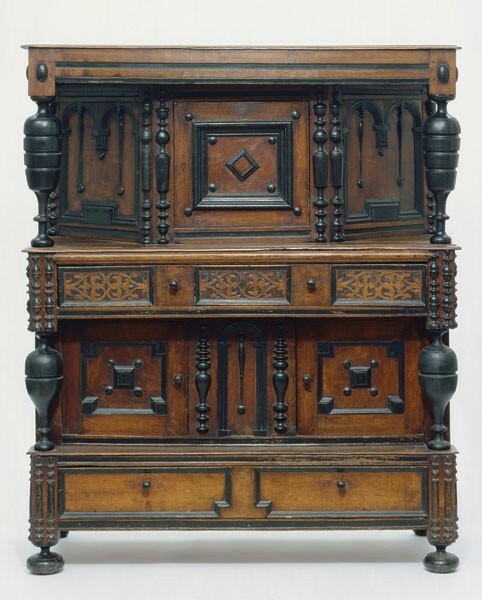 The literature on early American cupboards includes Robert F. Trent, Peter Follansbee, and Alan Miller, “First Flowers of the Wilderness: Mannerist Furniture from a Northern Essex County, Massachusetts, Shop,” in American Furniture, edited by Luke Beckerdite (Hanover, N.H.: University Press of New England for the Chipstone Foundation, 2001), pp. 1–64; Robert F. Trent and Michael Podmaniczky, “An Early Cupboard Fragment from the Harvard College Joinery Tradition,” in American Furniture, edited by Luke Beckerdite (Hanover, N.H.: University Press of New England for the Chipstone Foundation, 2002), pp. 228–42; Patricia E. Kane, Furniture of the New Haven Colony: The Seventeenth-Century Style (New Haven, Conn.: New Haven Colony Historical Society, 1973); Gerald W. R. Ward, American Case Furniture in the Mabel Brady Garvan and Other Collections at Yale University (New Haven, Conn.: Yale University Art Gallery, 1988), pp. 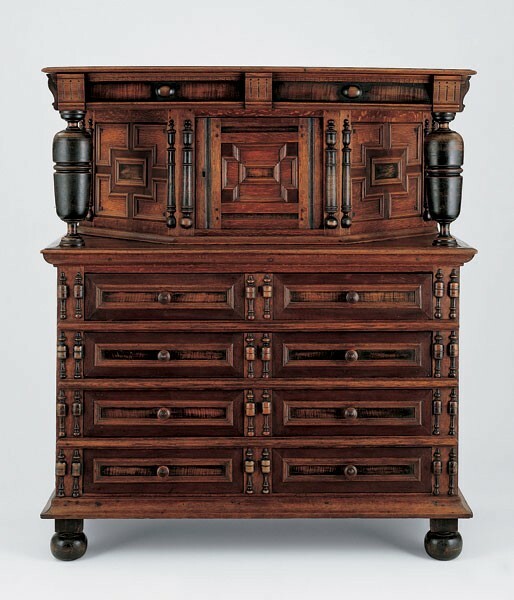 128, 383–87; Gerald W. R. Ward, “Some Thoughts on Connecticut Cupboards and Other Case Furniture,” in New England Furniture: Essays in Memory of Benno M. Forman, pp. 66–87; Trent, “New England Joinery and Turning before 1700,” pp. 530–32; and Pilgrim Century Furniture: An Historical Survey, edited by Robert F. Trent (New York: Main Street/Universe Books, 1976), pp. 55–78, 89–94, 122–25. Jonathan Prown has made a similar argument regarding the eighteenth-century desk-and-bookcase form, writing that their interiors “serve as personal theaters where users played out the dramatic affairs of business and everyday life. . . . Projecting into the foreground and serving as the main point of interaction, the leather-covered writing surface is a stage that is defined on its outer perimeter by a wooden frame.” Jonathan Prown and Ronald L. Hurst, Southern Furniture, 1680–1830: The Colonial Williamsburg Collection (Williamsburg, Va.: Colonial Williamsburg Foundation, in association with Harry N. Abrams, 1997), p. 445. Shakespeare writes in scene 5 of Romeo and Juliet (1592): “Away with the joint-stools; remove the courtcubbord, look to the plate.” Benno M. Forman, “Cupboards,” Benno M. Forman Papers, box 16, Winterthur Library. Ralph Edwards advanced the idea that “court” might be from the French in The Shorter Dictionary of English Furniture from the Middle Ages to the Late Georgian Period (Covent Garden, Eng. : Country Life, 1964), pp. 288–89. Peter Thornton, who initially concurred with this etymology, later revoked the argument in “Two Problems,” Furniture History 7 (1971): 64; Peter Thornton, Seventeenth-Century Interior Decoration in England, France and Holland (New Haven, Conn.: Yale University Press, 1978), pp. 233, 380 n. 37. The Royal Works document is located in the United Kingdom National Archives, Public Record Office, London (E351/3216) and is quoted in John Orrell, The Human Stage: English Theatre Design, 1657–1640 (Cambridge: Cambridge University Press, 1988), pp. 39–41; Mark A. Meadow, Hof-,Staats- en Stadsceremonies/Court, State and City Ceremonies (Zwolle, Netherlands: Uitgeverij Waanders, 1998); George R. Kernodle, From Art to Theatre: Form and Convention in the Renaissance (Chicago: University of Chicago Press, 1944), p. 96; La siège et les fêtes de Binche, edited by Charles Reulens (Mons, 1878), pp. 116–19; Albert van de Put, “Two Drawings of the Fetes at Binche for Charles V and Philip (II), 1549,” The Journal of the Warburg and Courtauld Institutes 3, nos. 1–2 (April 1939–July 1940): 49–55. Orrell, The Human Stage, p. 209. Mary Ann Caws, The Eye in the Text: Essays on Perception, Mannerist to Modern (Princeton, N.J.: Princeton University Press, 1981), p. 59. Sally M. Promey, “Seeing the Self ‘in Frame’: Early New England Material Practice and Puritan Piety,” Material Religion 1, no. 1 (March 2005): 10–47. Stephen Orgel, The Jonsonian Masque (Cambridge, Mass. : Harvard University Press, 1965). See also Lawrence Stone, The Crisis of the Aristocracy, 1558–1641 (Oxford: Oxford University Press, 1965); Martin Holbrook, “Courtly Negotiations,” in David Bevington and Peter Holbrook, The Politics of the Stuart Court Masque (Cambridge: Cambridge University Press, 1998); Jennifer Chibnall, “‘To That Secure Fix’d State’: The Function of the Caroline Masque Form,” in The Court Masque, edited by David Lindley (Manchester, Eng. : Manchester University Press, 1984), p. 81. Samuel J. Edgerton, “Maniera and the Mannaia: Decorum and Decapitation in the Sixteenth Century,” in The Meaning of Mannerism, pp. 67–103, at 67. Frank Kermode, The Age of Shakespeare (New York: Random House, 2004), p. 190. Arnold Hauser, Mannerism: The Crisis of the Renaissance and the Origins of Modern Art (London: Routledge and Kegan Paul, 1965), p. 279. Manca, “A Matter of Style,” pp. 23–24. On the Ipswich chair and its mate, see Trent, New England Begins, pp. 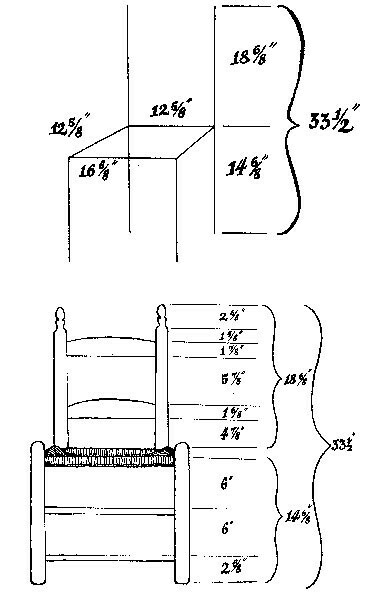 514–16; Benno M. Forman, American Seating Furniture, pp. 135–36. As You Like It, act 3, scene 2. Benno M. Forman, “A Catalogue of Ware Chairs,” unpublished typescript, 1973, p. 21, Benno M. Forman Papers, box 11, Winterthur Library. Forman, American Seating Furniture, p. xxiv.